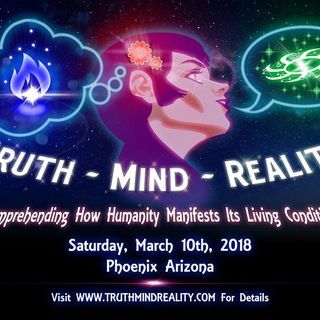 In this subsidiary episode, Ivan Oyola Jr guests to discuss the Truth Mind Reality conference he is organising for Saturday 10th March 2018 in Phoenix, Arizona. This event will feature talks from Mark Passio, Lenon Honor, Sonia Barrett and Mark Devlin, among others, all addressing issues of consciousness, human freedom and truth. It also provides a great opportunity for like-minded folk to gather and network - particularly as there will be no Free Your Mind conference for 2018.